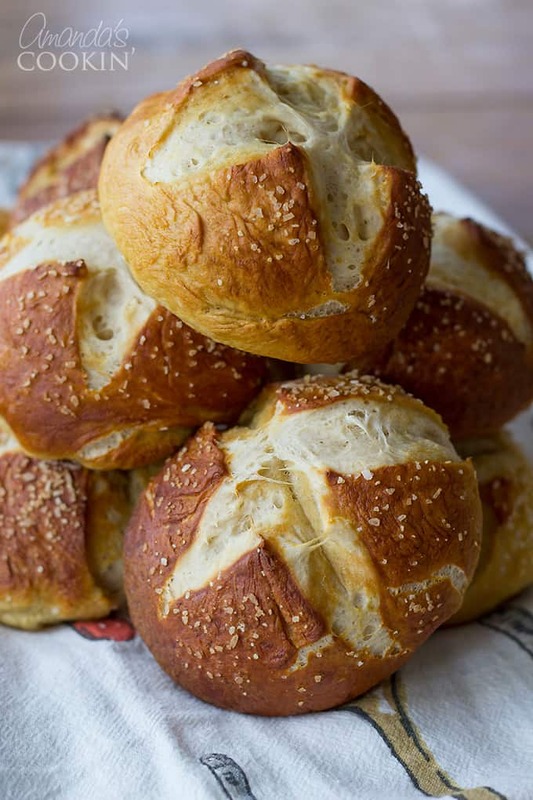 These homemade bretzel rolls remind me of a restaurant we used to frequent years ago when we lived in Las Vegas. 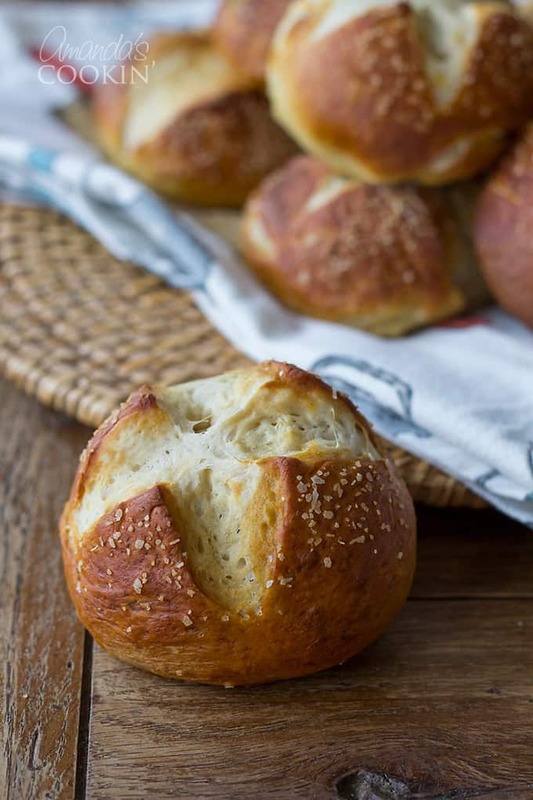 Soft, delicious pretzel buns, perfect with dinner or for making sandwiches. That restaurant served dark brown pretzel rolls that I always looked forward to. 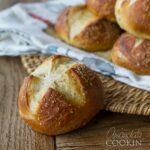 While these aren’t the smooth crusted dinner rolls that I devoured at Senoma Cellar, they are absolutely delicious and definitely worth making again and again. I’ve made authentic German pretzels before, but these are different. 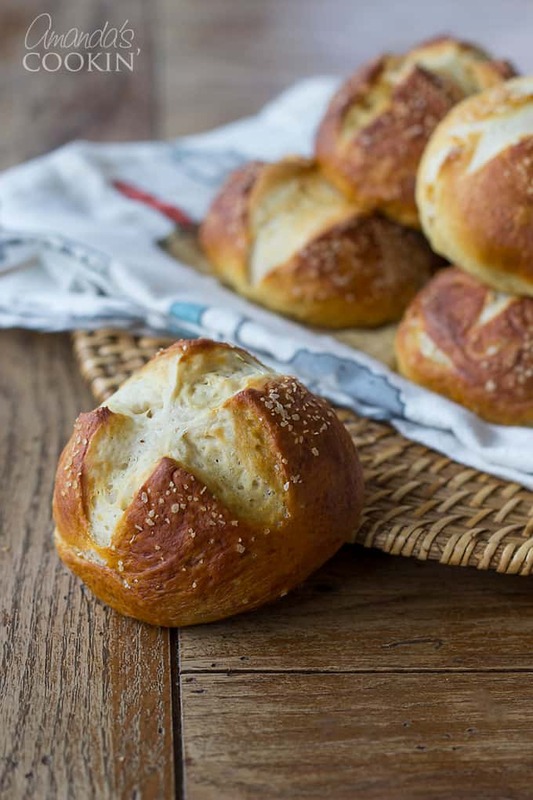 Homemade pretzels have a harder crust, these bretzel rolls are browned, but soft on the outside. 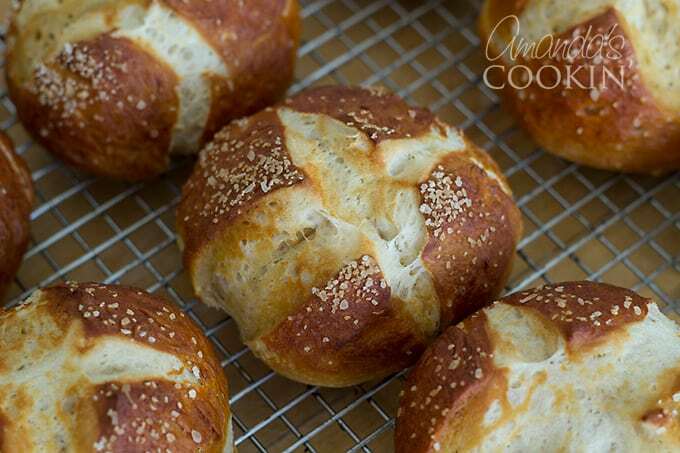 I made a batch of these bretzel rolls today. A few hours later they were gone. Devoured by eager teenagers just waiting for me to finish taking photos! These are great with dinner, a bowl of piping hot soup for lunch, or for slider sized sandwiches. Whatever you choose, they won’t last long. I hope you found the video helpful and be sure to let me know if you try them. We love them here! I’ve put together a video for you of the process. If you’ve never made pretzels before, take a minute to watch it, especially for the soda bath. It’s not hard, but if you’ve never done it before it can be a bit surprising! 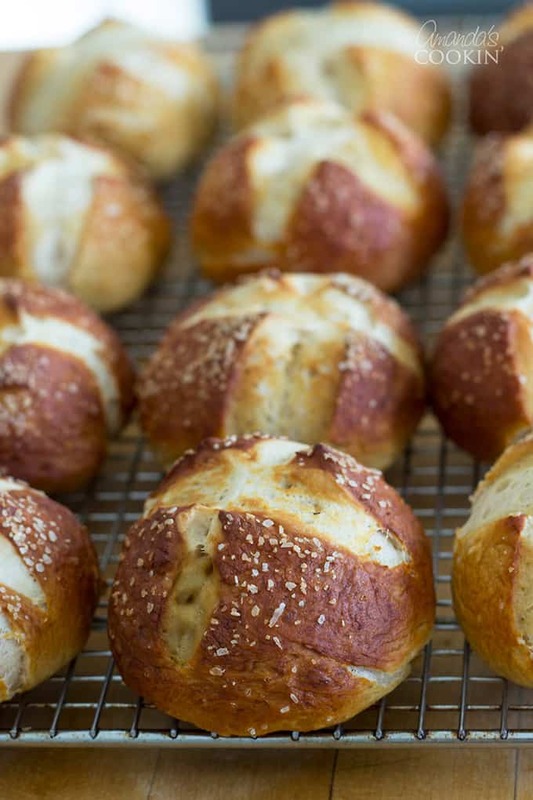 These homemade bretzel rolls remind me of a restaurant we used to frequent years ago. 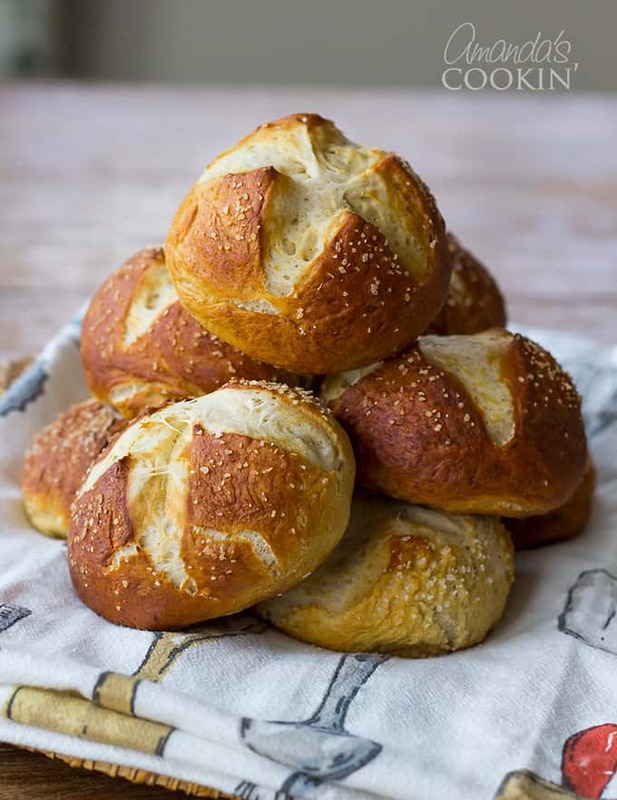 Soft, delicious pretzel buns, perfect with dinner or as sandwich buns. In the bowl of a stand mixer fitted with a dough hook, mix a 1/3 cup of the warm water (105-115 degrees) with the yeast and let stand until foamy. Add the remaining cup of warm water along with milk, sugar & melted butter and swirl to dissolve the sugar. Add flour and mix on medium-low speed. Remove dough once it forms a nice a firm, pliable dough ball. Add more flour only if necessary. Pat and roll dough into balls and arrange on a lightly floured surface about an inch apart, cover with lightly oiled (cooking spray works fine) plastic wrap. Preheat the oven to 425 F. Lightly oil 2 baking sheets or line with parchment paper. In a large stockpot, bring the cold water to a rolling boil. Add baking soda (it will bubble up almost violently and then relax, don't be alarmed). Drop two rolls into the boiling water upside down. Boil for no more than 30 seconds, turning once after 15 seconds. Carefully remove with a slotted spoon and hold above pot to let drain. Place on prepared baking sheet and sprinkle lightly with salt. Bake on the upper and middle racks of the oven for about 10-15 minutes, or until browned all over. You may want to shift pans from top to bottom and back to front halfway through, for even baking. Let rolls cool on the baking sheets for about 5 minutes, then transfer them to a wire rack. The original recipe said to bake for 8 minutes. That was not long enough and mine usually take a full 15 minutes. Start watching yours at 8 minutes. If they are only lightly browned, try for a few minutes longer. For me, these turned out exactly like in the photos and tasted amazing! I made two minor additions: to the flour, I added 1 tsp of salt to balance out the flavours a bit as well as about 1/4 tsp of nutmeg for a hint on nutty flavour. I did use a scale to measure out the dough and got 14 equal rolls. One thing I would reiterrate: for the baking soda bath, a big pot is a must! Adding the baking soda causes a big erruption and a smaller pot simply makes a big mess (found out the hard way). 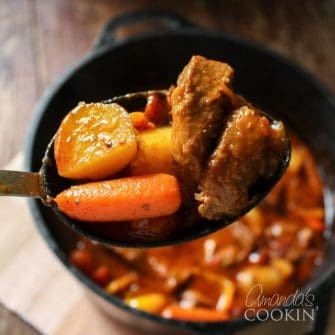 We paired these with a hearty bean and sausage stew. These bretzels are a new favourite at our place. Thanks for a great recipe! Anyone have a pic of them opened up?